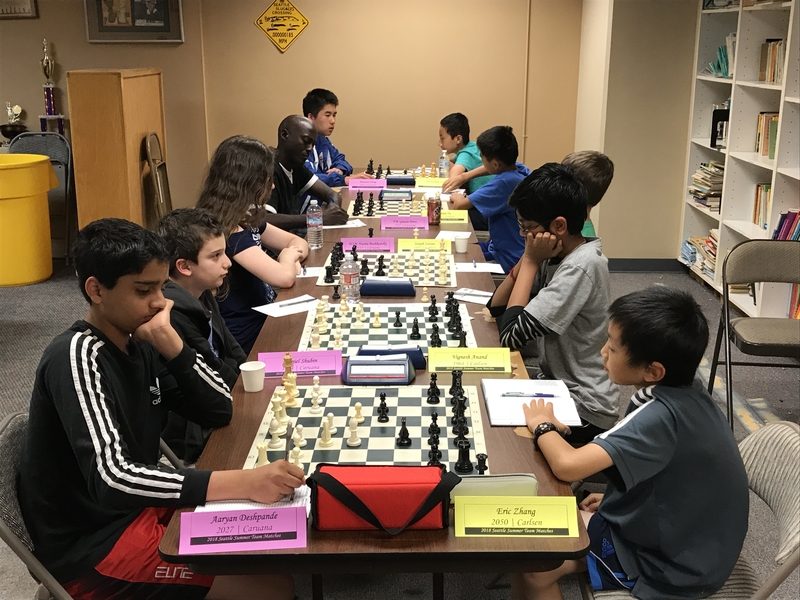 Local chess tournament news / results for completed events. Murlin Varner manning the WCF registration table. 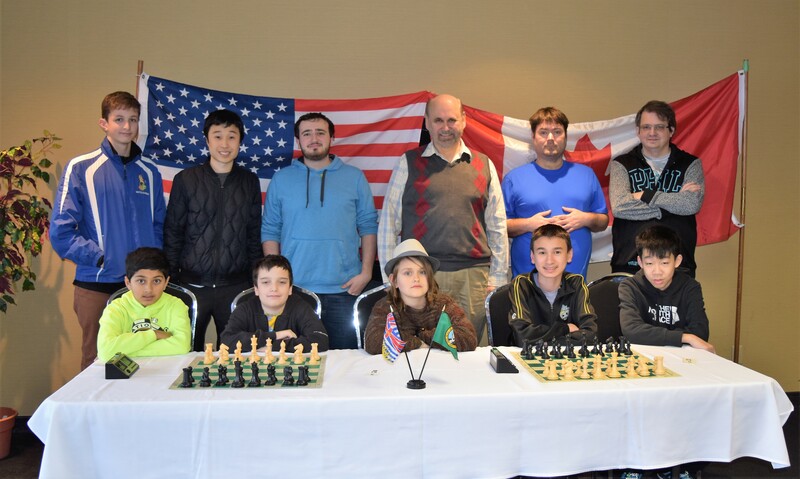 The 2017 WA Class Championships were held at the Lynnwood Embassy Suites over Thanksgiving weekend November 24-26. 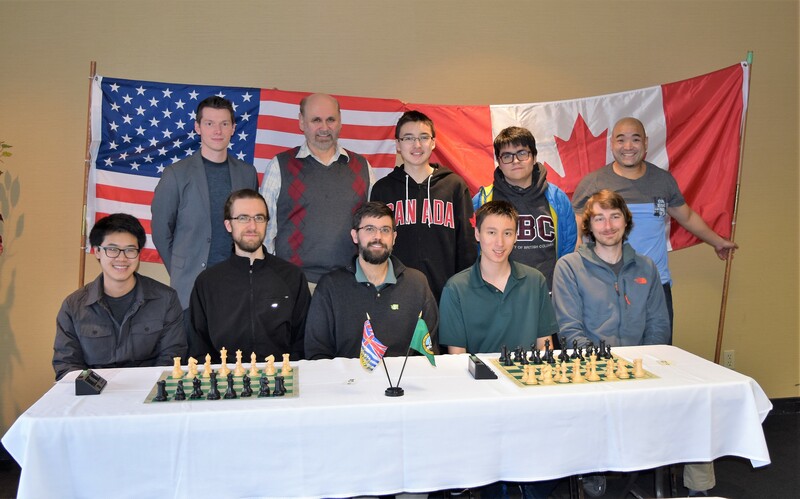 A strong attendance of about 180 players took part from throughout the Northwest, primarily from Washington, Oregon, and British Columbia. 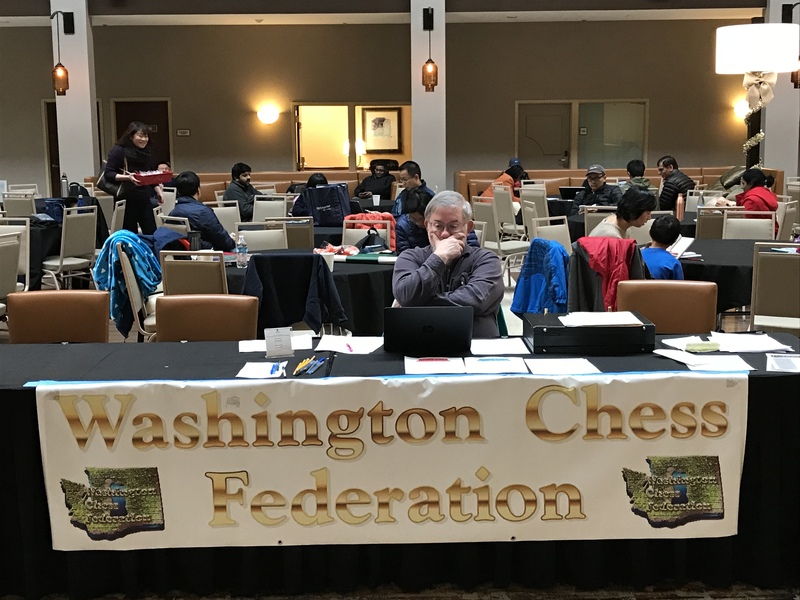 The event was hosted by Washington Chess Federation. L-R: Gary Dorfner, Robert Allen, Fred Kleist. 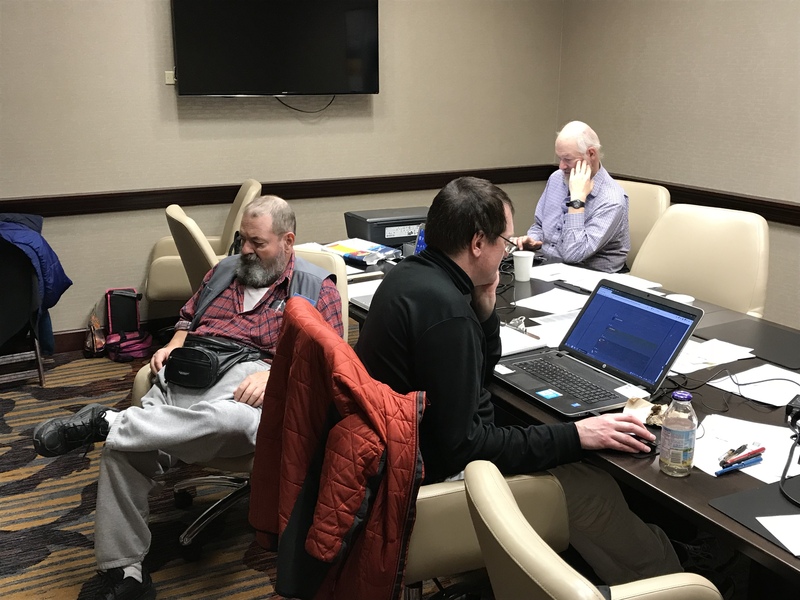 Tournament Directors: Fred Kleist & Gary Dorfner, with additional support from Murlin Varner, Jacob Mayer, and Chouchanik Airapetian. Thanksgiving Scholastic Winners with TD David Hendricks. 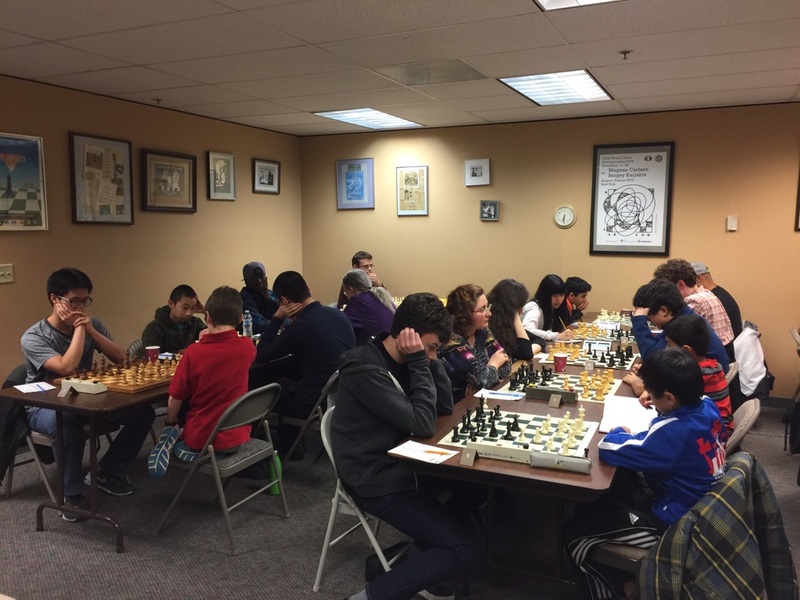 WCF Scholastic Director David Hendricks ran the Thanksgiving Scholastic on Black Friday, which attracted 132 players. 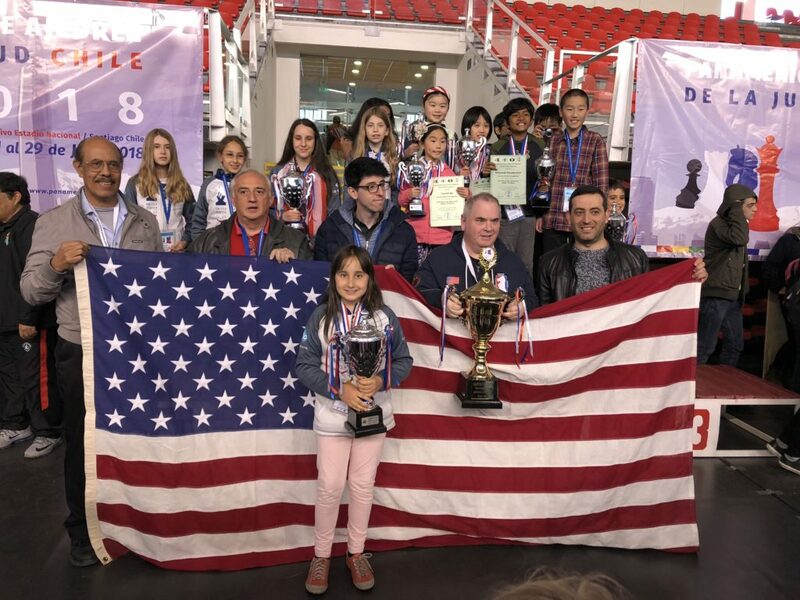 Here is the US Chess Rating Report. 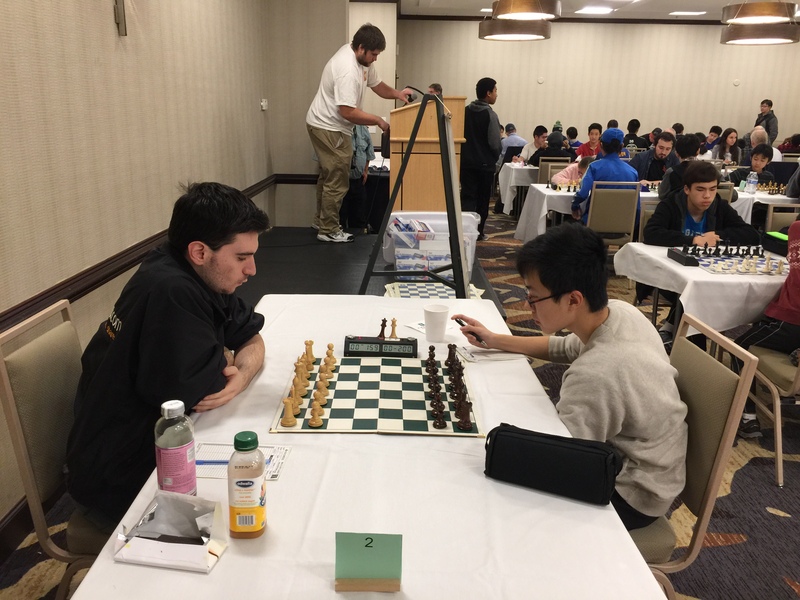 Steven Breckenridge (L) vs. Roland Feng on board 1 at the start of round 4. FIDE Master Steven Breckenridge from Gresham, OR won clear first place in the Master Section with an undefeated 5.5-0.5 score. 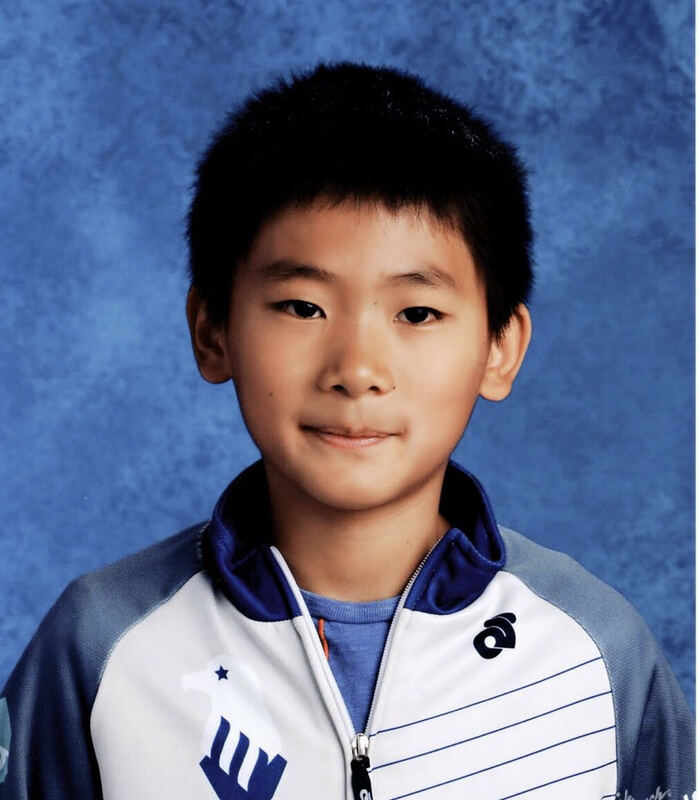 Washington State Champion Roland Feng finished in clear second place with 5 points, a full point ahead of Anthony He and Kyle Haining, who split 3rd place honors. The complete photo album from the tournament can be viewed on the WCF FB page. 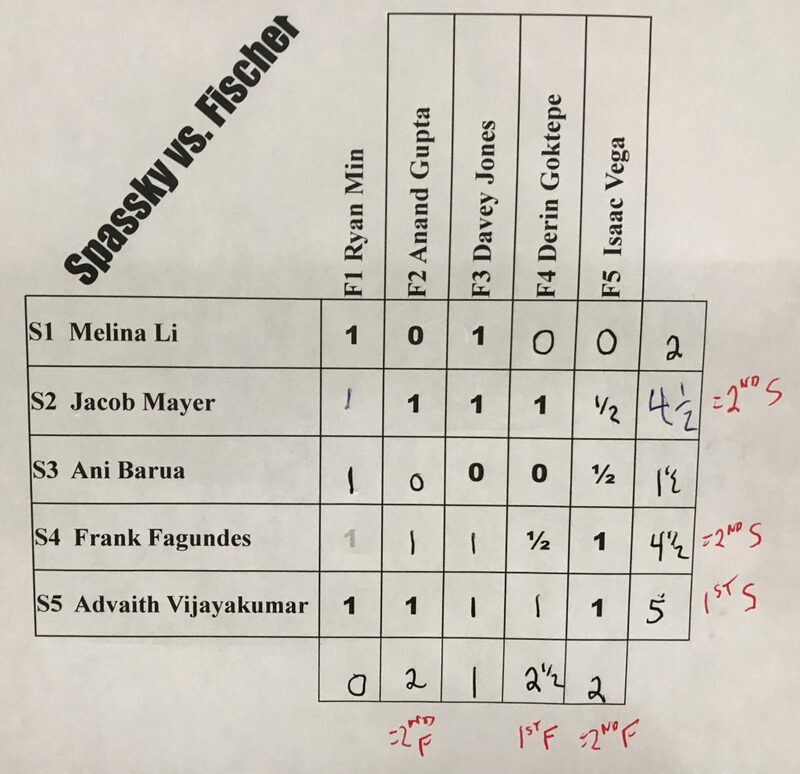 Expert: =1st/2nd Sherry Tian & Benjamin Brusniak. Class A: 1st Peter Watts (6-0! 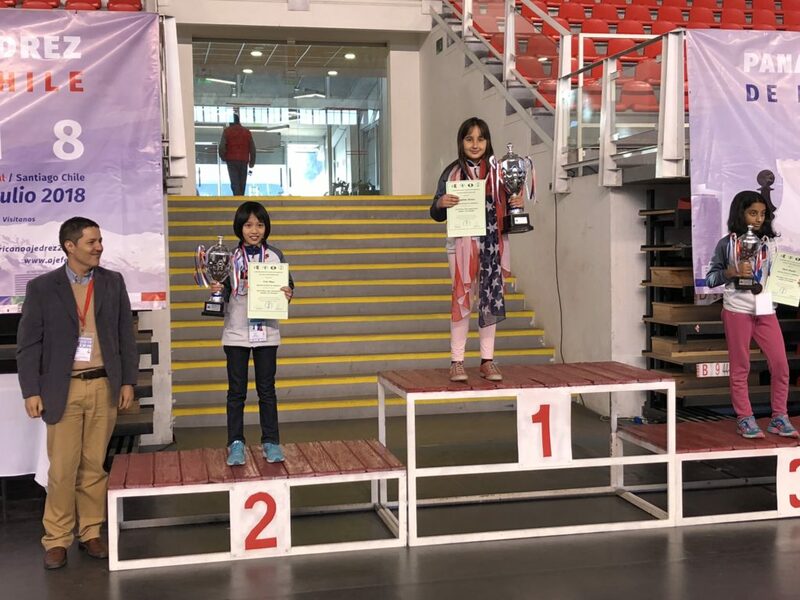 ), 2nd Brent Baxter, 3rd Wenyang Du. Class B: =1st/2nd Frank Fagundes & Francisco Lopez. 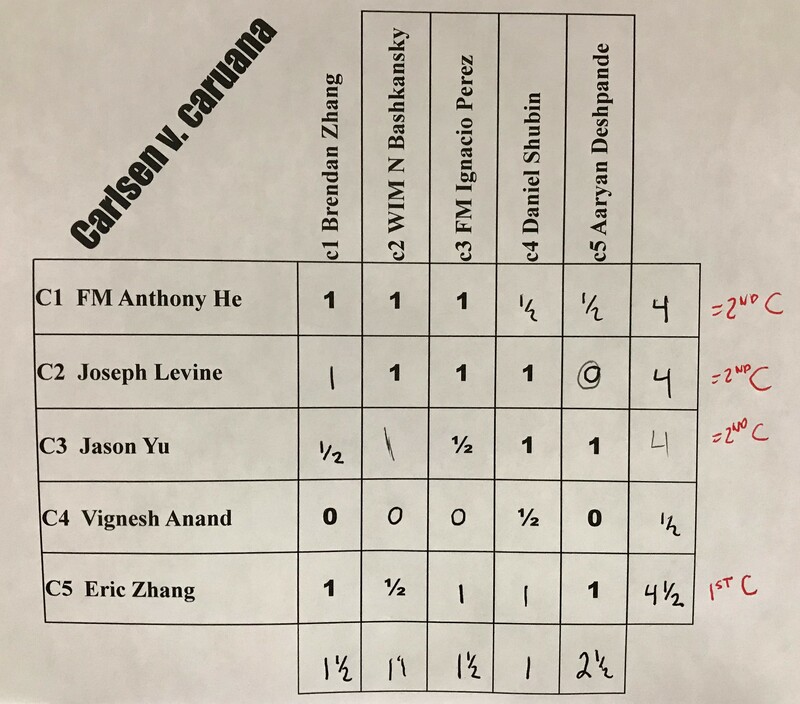 Class C: 1st Jasen Reeves, =2nd/3rd Alison Xiao & Hongning Wang. 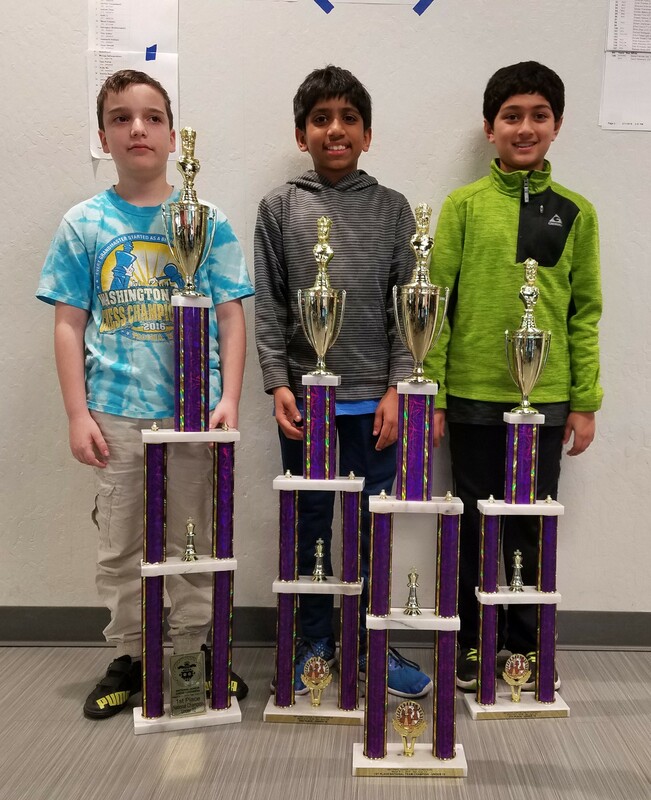 Class D: 1st Harrison Keyser, =2nd/3rd Varun Kumar & Jeffrey Kou. Class E: 1st Miles Hamilton-Sommer, =2nd/3rd Ryan Clark & Angela Chen. 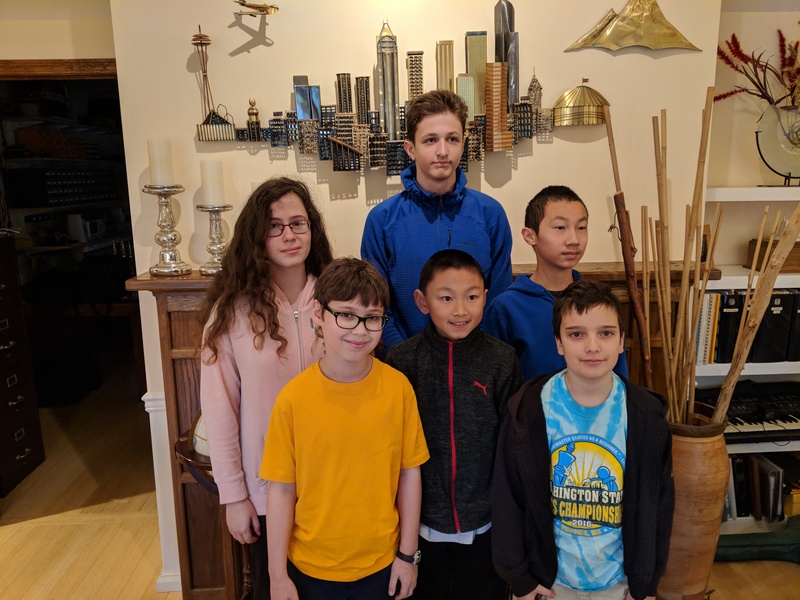 The US Chess tournament rating report is now available here. 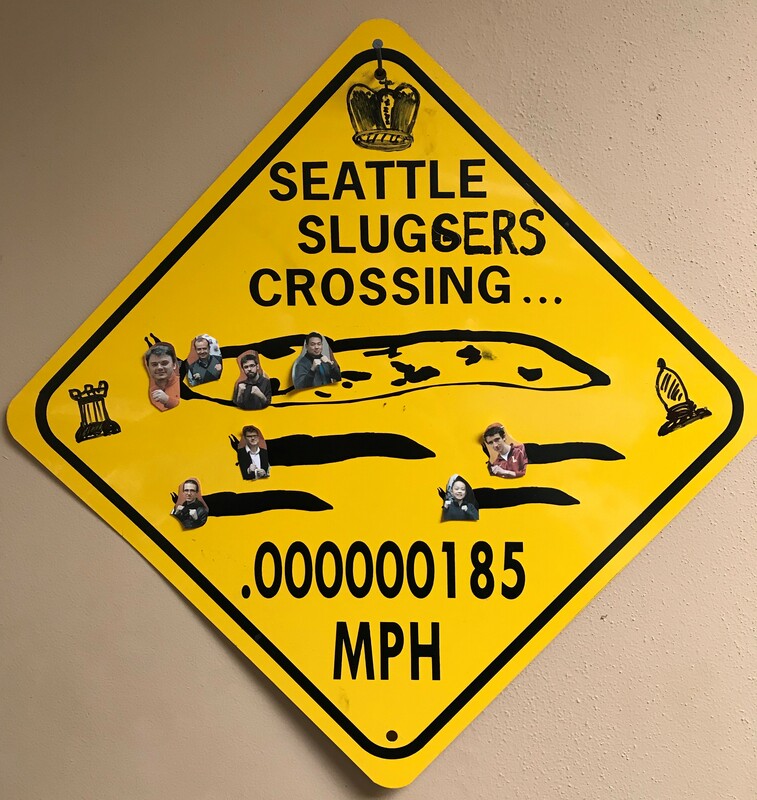 Other Sluggers who helped the team qualify include GM Georgi Margvelashvili, IM Bryce Tiglon, and FM Anthony He! 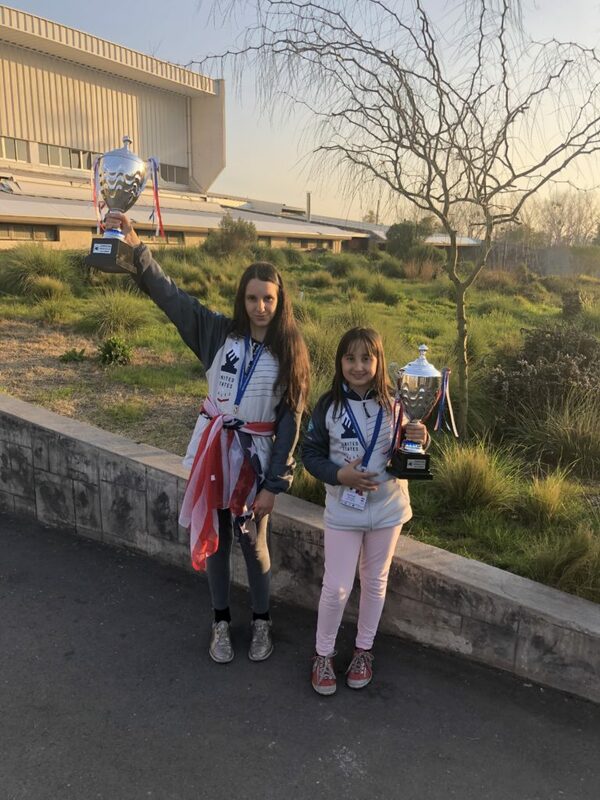 We finished in second place with 35 points behind the new Chinese team, the Chengdu Pandas, and half-a-point ahead of 3rd place finishers, the Australia Kangaroos. Matches will take place on Wednesday evenings and occasionally on Saturday afternoons with a tentative start date of Wed. January 17, 2018. 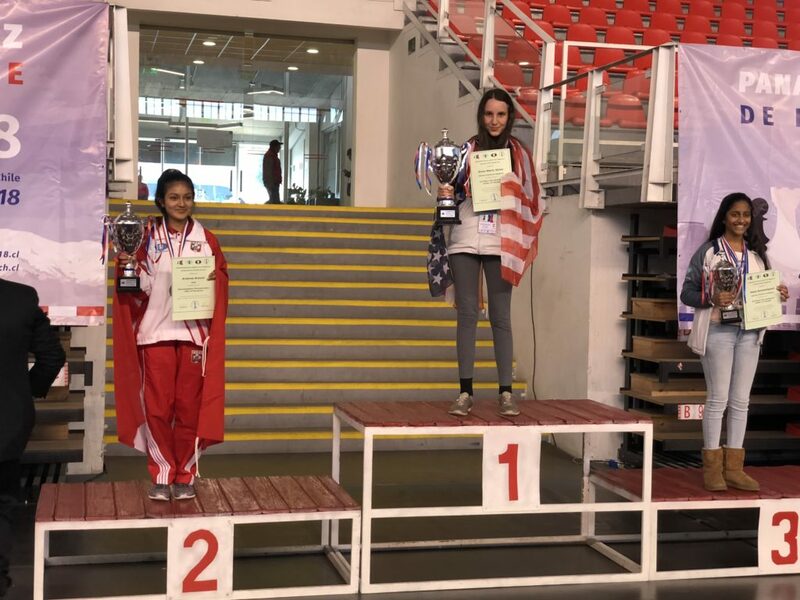 WFM Chouchanik Airapetian wins 2017 WA Women’s Championship! 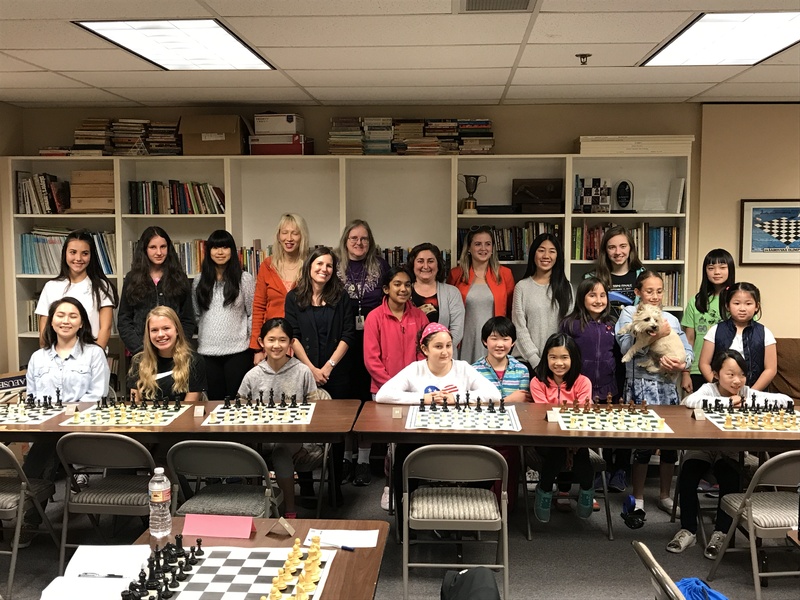 A record 23 players took part in the 2017 WA State Women’s Championship, a 5-round Swiss held at the Seattle Chess Club September 15-17, 2017. 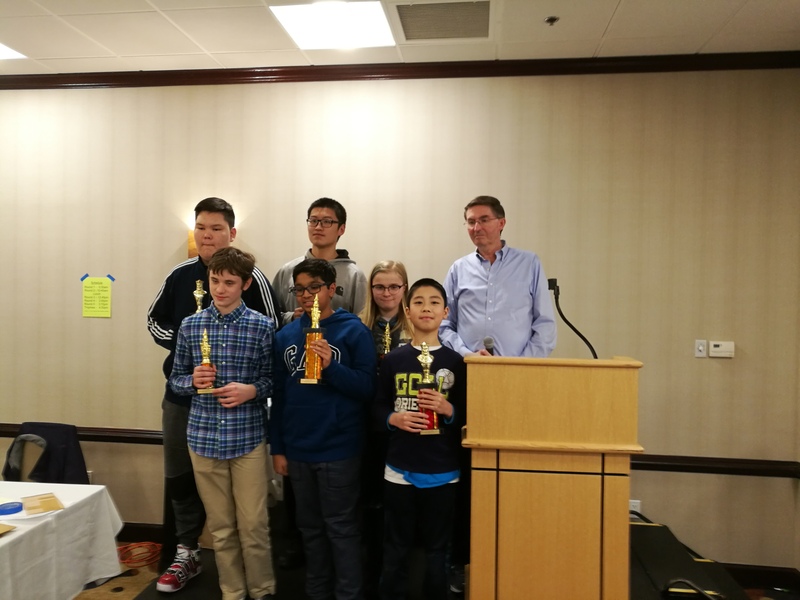 The tournament, which was dual US Chess and FIDE rated, attracted players from throughout the Northwest States including Washington, Oregon, and British Columbia. 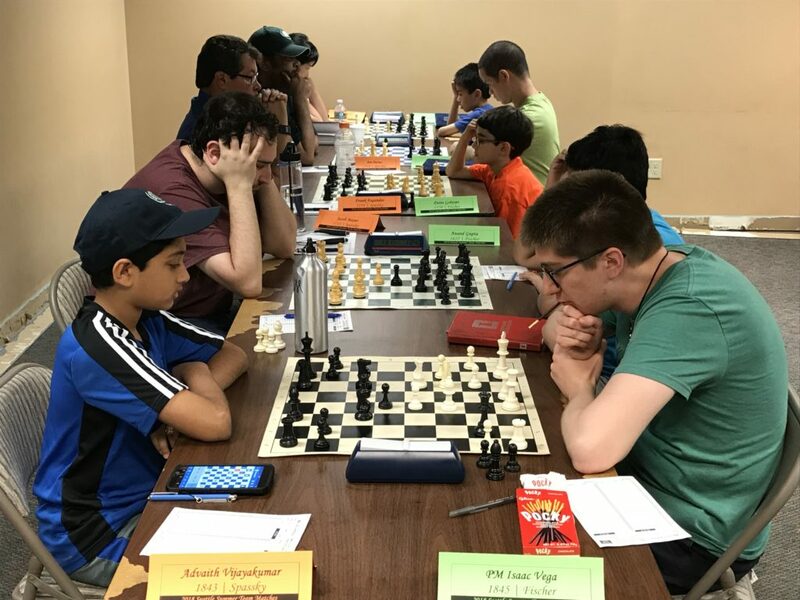 The chief organizer of the event was WCF President Josh Sinanan and it was directed by Fred Kleist, a US Chess Senior TD and FIDE National Arbiter. 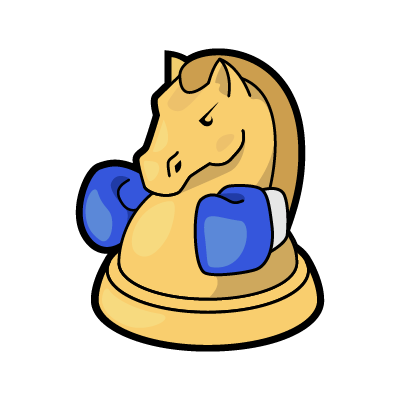 Here is a link to the US Chess rating report.